Rolls Royce Limo Rental New Orleans from VIP Transportation Inc.
Chauffeur driven vintage Rolls Royce Limo Rental and Bentley Limo Rentals in New Orleans for any occasion. For classic luxury cars, Rolls-Royce and Bentley have set the standard for style, elegance, and class for decades. The Rolls Royce and Bentley names are synonymous with luxury, and our fleet of Roll Royce and Bentley motorcars are lovingly and meticulously maintained inside and out. Contact New Orleans VIP Transportation limousine service for your next special occasion. Why a Rolls Royce Limo Rental from New Orleans VIP Transportation Service? 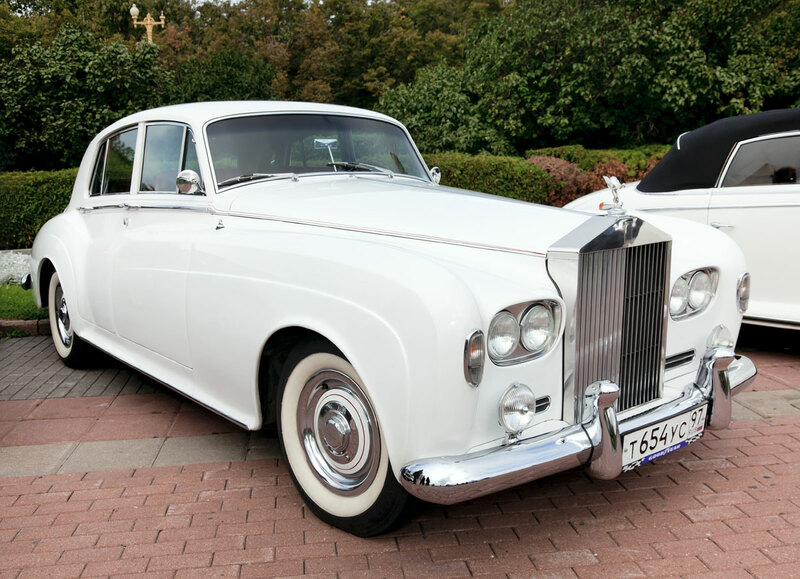 Without a doubt, our clients’ most popular reason for choosing a Rolls Royce limo rental is for transporting a bride and groom to and from their wedding. It adds an unparalleled touch of style and elegance to this memorable occasion. Vintage Limo Service can make your next celebration one to remember. Whether for a wedding, anniversary, birthday or any special occasion, you can afford to treat yourself to the ultimate luxury in a chauffeur driven antique British motorcar from Vintage Limo Services.